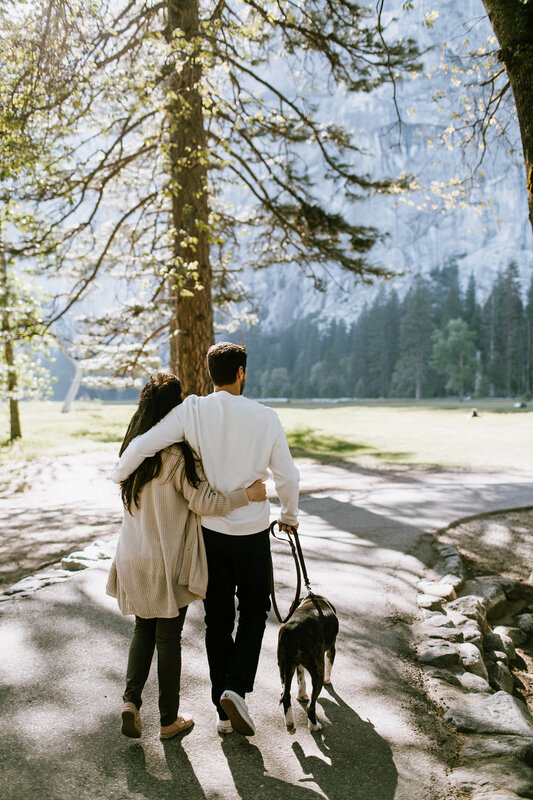 Amanda and Brett live just outside Yosemite, so when I told them I'd be there for someone else's engagement session, they were down to book theirs there too. I was so excited to finally shoot a couple in one of the world's most beautiful places. Even better, they brought their fun loving rescue pup along, which I definitely don't hate :) The park was starting to get busy for the summer but we found plenty of awesome places in the valley and around to shoot. See for yourself below! Stay tuned for Amanda & Brett's incredible forest wedding that just happened this last weekend.